To be clear: the ex-girlfriend of Shaynna Sims’ boyfriend was already dead from natural causes. 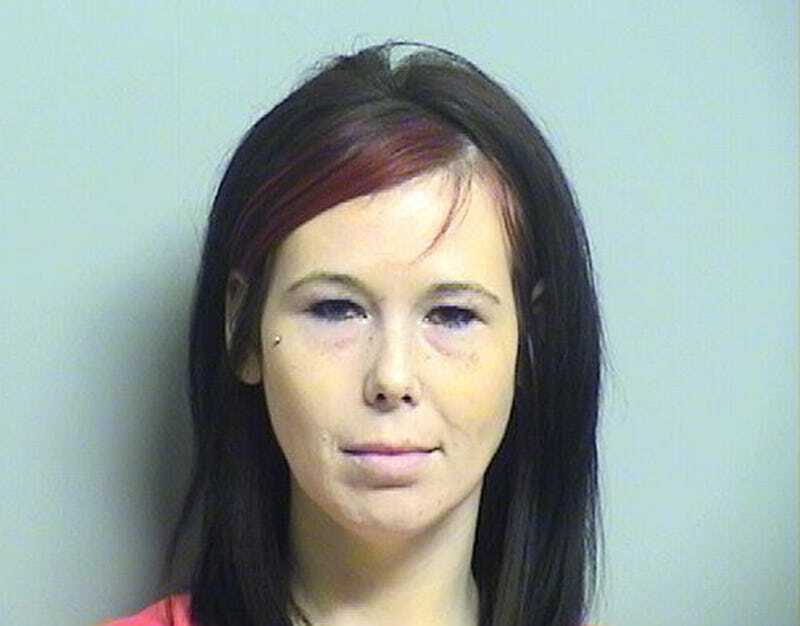 But that didn’t stop the Tulsa, Okla. resident from paying the deceased a funeral-home visit, where it’s alleged that she slashed the woman’s face from hairline to nose, cut her hair, and chopped off a toe and a breast. She also stole the dead woman’s shoes. As Tulsa’s Fox 23 reports, Sims was originally charged with “illegal dissection of a human body,” which has since been upgraded to “the removal of body parts from the corpse.” She’ll undergo a psych evaluation before returning to court in July, according to the AP. They said the woman’s mother saw Smith with her hands in the casket, but she took them out and left after the mother walked up to her. They said that’s when the family saw the woman’s face and hair were cut and the make-up smudged. They called police who found Smith inside the woman’s apartment. They said the woman’s son let her in because she said she was getting jewelry for the woman’s funeral. Police said they found a knife with hair on it, a box cutter and make-up on Smith when they arrested her. They aren’t sure of an exact motive but said Smith and the woman were ‘frenemies’ and Smith’s boyfriend used to date the woman.